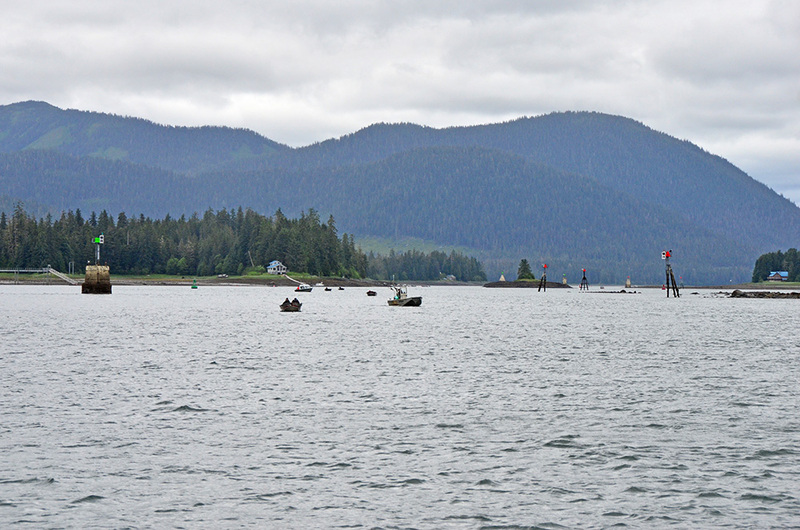 The trip from St. John Harbor to Petersburg is short but complex, requiring boats to transit Wrangell Narrows. 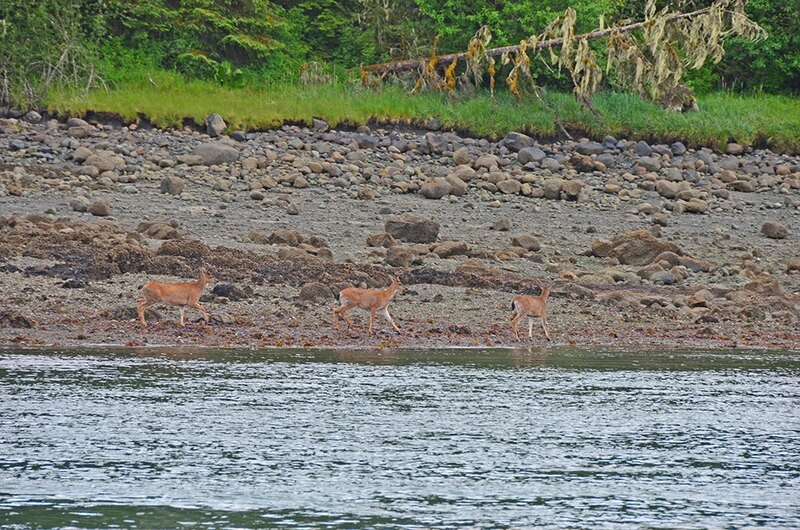 Wrangell Narrows is about 22 miles long. It's winding, shallow, and narrow most of its length. Currents run to several knots. 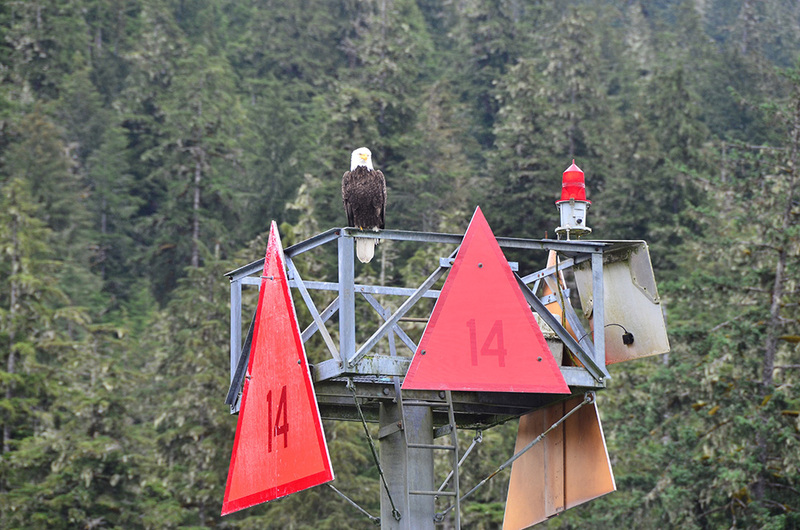 Five ranges and about 60 buoys and markers indicate the correct route. The current in Wrangell Narrows floods from both ends and meets roughly in the middle. Ideally we'd ride the end of the flood in, get to the middle at slack, and ride the ebb out the north end. 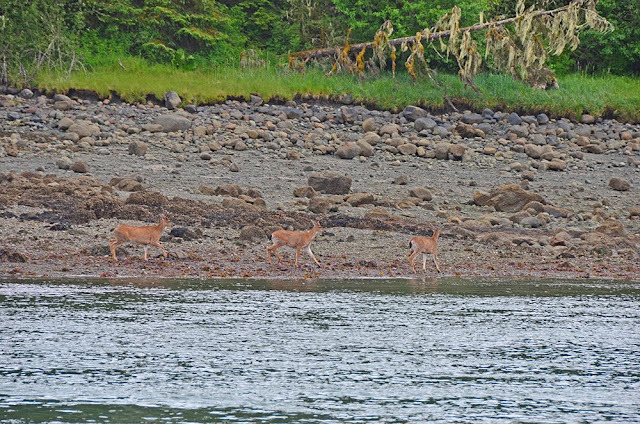 Unfortunately the timing for this didn't work—we'd have needed to leave St. John Harbor at 3:15 a.m. (way too early) or 4:00 p.m. (kinda late to get into Petersburg). Instead, we fought the current. 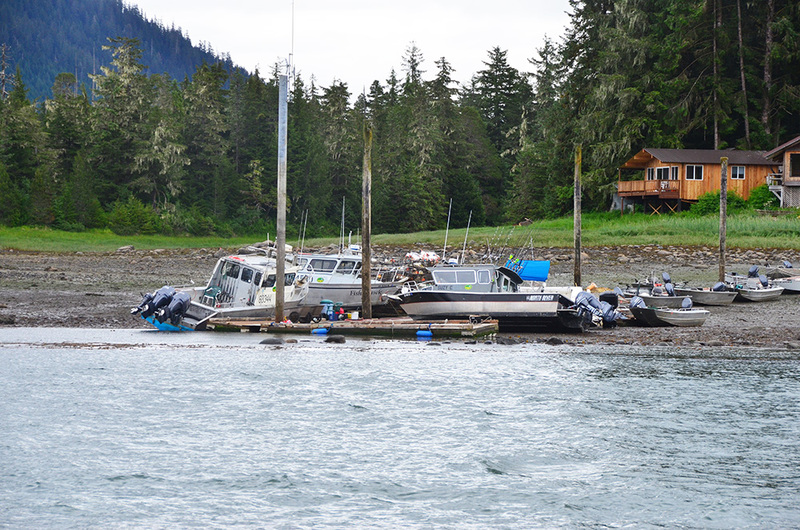 Fishing boats, aids to navigation, narrow channel...another day on Wrangell Narrows. Cloudy today, but still beautiful. We lost a couple knots at times, but the current didn't slow me down enough to advance the throttle beyond normal cruise speed. 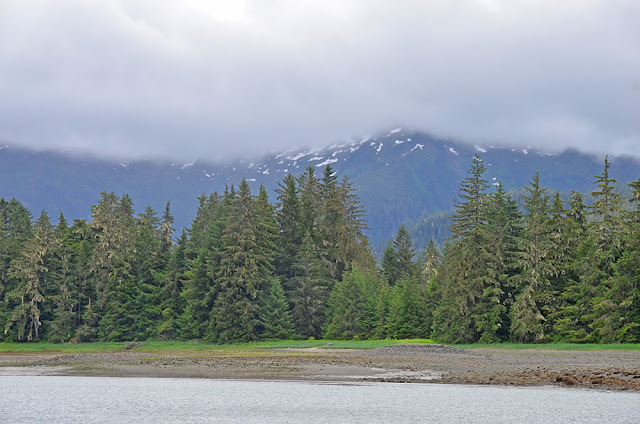 Normally I transit near high water, so it was interesting to see Wrangell Narrows with the tide out. You definitely don't want to cut any corners! Approaching Petersburg from the south is particularly scenic. 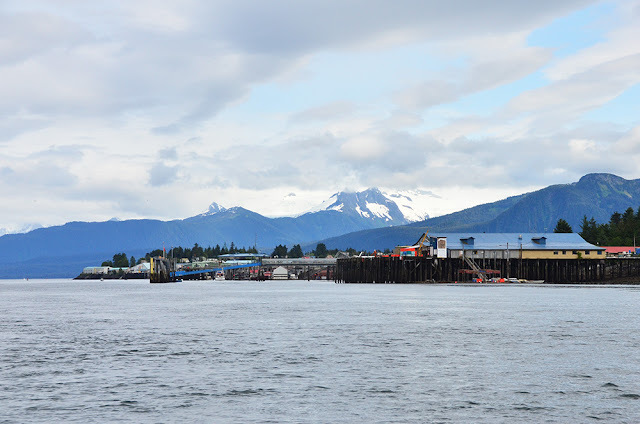 The town, with mainland mountains behind, unfolds as you make a sweeping turn towards Frederick Sound.